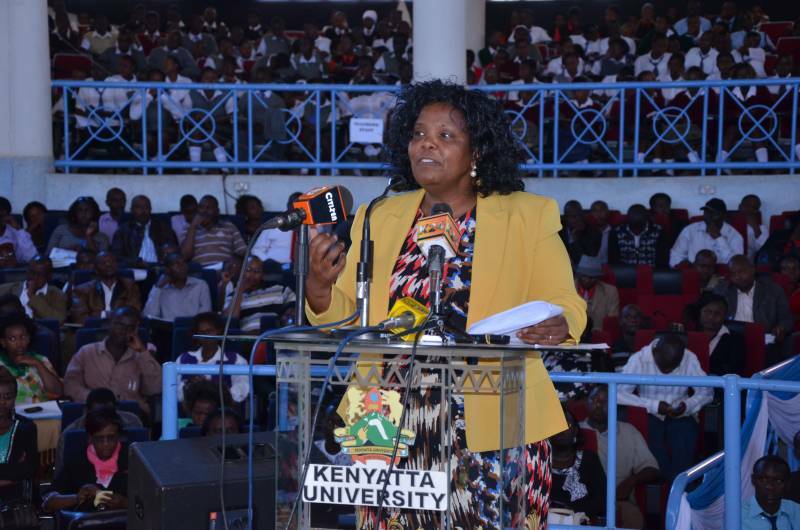 Former Kenyatta University Vice Chancellor Prof Olive Mugenda was divorced by her husband, the late Prof Abel Mugenda, because “she was moving with small boys and coming home late,” according to court documents in our possession. Abel, a professor of statistics and research at USIU, died on January 5 after jumping from the sixth floor of the White Rhino Hotel in Nyeri County. He was 66. In the affidavit filed at the Chief Magistrate’s court in Milimani, Nairobi in 2016, Abel claimed his wife – currently a commissioner at the Judicial Service Commission – was a person of unpredictable moods, ungovernable temper and violent in nature, making him live in fear in their matrimonial home. “In 1986, the petitioner, Abel Gitau Mugenda, then a bachelor, was lawfully married to Olive Mwihaki Mugenda, then a spinster under the Marriage Act, which was solemnised in Nairobi until sometime in 2013, when the respondent deserted the matrimonial home and started moving with young men and coming home at late hours,” the affidavit read in part. In his prayers to the court, Abel, asked that his 35-year old marriage be dissolved and his petition paid for by the wife. He further stated that Olive, an alumnus of Alliance Girls High School, Nairobi Girls and Dry’s Farm Primary School in Timboroa, Baringo County, had generally been cruel, rebellious, unwilling to recognise him as her husband and shunned all efforts to persuade her to live a normal family life, besides refusing to take responsibilities of a wife and threatening him several times. Abel added that he had “not been in any way been an accessory to, connived at, or condoned the said adultery, cruelty or desertion.” The Mugendas were academicians: Abel attended the University of Nairobi for a BA in education and Iowa State University for a master’s in family studies, which Olive was also studying for at Iowa State after earning a first-class degree in Home Economics. That was in 1983. Olive went on to earn her PhD at 33, before becoming the first woman to lead a public university in Kenya and the Great Lakes region. She joined KU in 1981 as a tutorial fellow. When the position of VC was advertised in 2006, she applied and beat three male applicants. She was the only woman who applied for the job. 8 Male Crushes and Their Not-so-secret Imperfections.